AMC Says Next Episode will be the last for Rick Grimes in The Walking Dead, Will He Really Die? Would Rick Grimes really die in in The Walking Dead? Every fan of this phenomenal show is talking about Rick’s eventual death in the next episode. 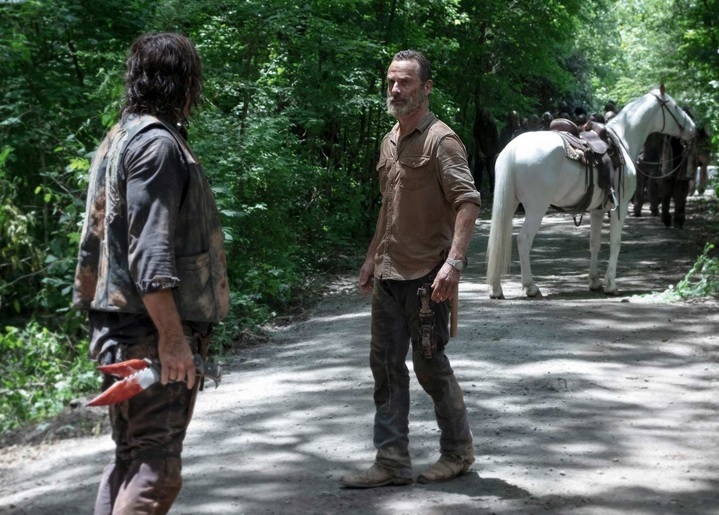 Fans also expressed their thoughts about the latest episode, saying it was the best one – ever among all the spine-tingling episodes – especially the emotional confrontation of Daryl and Ricky. Even entertainment news have reported that next episode would be the last one for Rick; “Say goodbye to Rick Grimes”. AMC also stated about Rick’s final episode, saying it will be his last in the popular TV series. Fans of the heart-pounding series are asking The Waking Dead creators why they’re killing all their characters, and the lead role at that. But, we’ll learn the truth next episode. Is this just a publicity stunt to pull in viewers, or will Rick grimes really die next episode? Watch out for further developments of this story next week. Andrew Lincoln plays Rick Grimes, while Norman Reedus portrays Daryl Dixon.